What a year 2018 has been. TAW has had it's highs and lows, we've seen games come and go, we've seen staff be promoted, demoted, exploded....wait, hold up, noone exploded. Scratch that. One this for sure, is that closing out 2018, Vanguard has gotten a facelift, with the most recent being DrFajitas returning as VG DC, but now, now our favorite monk has come back to Vanguard. 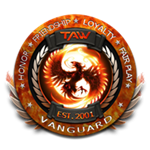 Not that monk, TAW's very own MadMonk has come back and will step into the position of Vanguard Division Officer. Madmonk comes back to Vanguard with plenty of time served in various leadership positions, including time as Vanguard LC. Vanguard is looking forward to working with our new TFO's and kicking 2019 off with a bang. 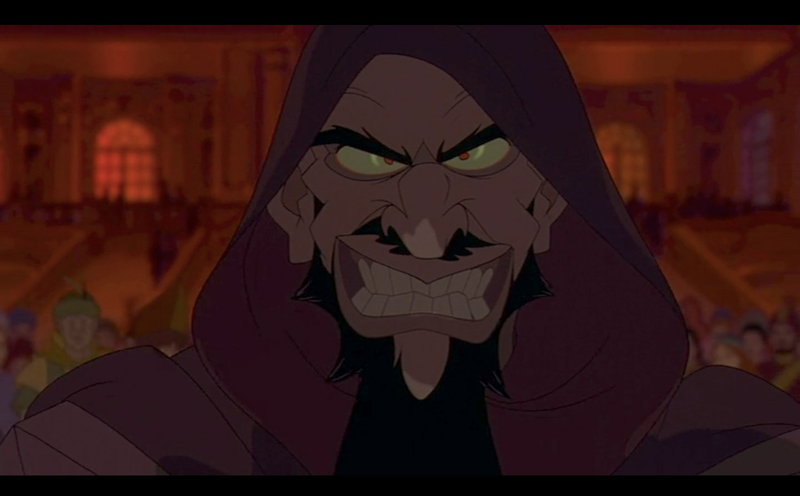 If you see MadMonk on, please take the time to welcome him back and congratulate him on his new role. Very recently Vanguard had our Division Commander step down due to real life. We in Vanguard wish Natalino the best in his future endeavors and he will be missed. DrFajitas comes to us, with previous experience in TAW servant leadership and previous tenure as a VG DC. We gladly welcome him back into the fold and look forward to working with him again. If you see him in TS, please welcome him back. Trovians across the globe are finally getting their long anticipated U10 Crystal Update in just a couple short days, December 18th to be exact. This is HUGE for all Trovians, because it's not just the addition of the U10 content, there is so much more to get excited over. Crystal Combat is the name of the December 18th update that have Trovians on the edge of the seat in anticipation, as they get ready to combat the forces of shadow. This is going to be a massive update which will allow the players to go on the offensive against the powerful shadowy invaders that have been wreaking havoc on Geode's surface. 3 brand new biomes (maps for the non Trovians in the house): Cerise Sandsea, Hollow Dunes, and Weathered Wasteland. HUGE 5 star dungeons. Take them down quickly and earn extra rewards. 2 new starts: Light & Dark. Light will be found on Crystal Gear while Dark exists solely on enemies. You will NEED Light to fight the enemies bathed in Dark. Crystal Rarity is a new item rarity found on hats, faces, and weapons in the loot from chests found after beating dungeon bosses. Cosmic Gems. *Note: These will not replace your existing gems. They will provide new stats and perks. Removal of "cracking mechanic", so now your gems will never break when upgrading. 2 New Dragons: Jhorondir and Phyconidia. 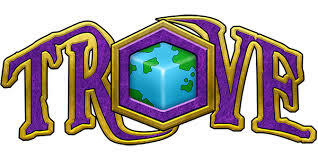 It's no wonder Trovians are excited for this update. If you'd like to be a part of the Trove Spin Up Team, they are still looking for a couple more DI's. Please contact Amathist or any of the Vanguard Staff. Welcome to December’s Edition of On The Horizon. On The Horizon, is a monthly blog that focuses on select games Vanguard is interested in spinning up. As winter is now upon us, we are starting to see some frosty weather, but Vanguard is about to show you some hot titles. So grab that sunscreen and your shades, because we’re closing off 2018 with titles you’re gonna love. As we start off this frostbitten month, we’re going to bring you an upcoming smokin hot game that takes to the high seas. Atlas is brought to you by the same developers who brought you ARK: Survival Evolved. Atlas is a first AND third person fantasy pirate adventure, which will host up to 40k players exploring the globe simultaneously with an unprecedented scale of cooperation and conflict. Stake your claim in the endless open world as you conquer territories, plunder towns, assemble forts, construct ships, hire crew, and seek buried treasure. So batten down the hatches, hoist the main sails, and man the cannons as you take to the seas for some epic PvP battle and send your enemies to Davy Jones’s Locker. This game will be available on Steam December 19th 2018. If anyone is interested in helping this team to be a success in TAW, contact any of the Vanguard staff or fill out the Vanguard Interest Form. We’re keeping things hot with Path of Exile. YOU are an exile, struggling to survive, as you fight to earn power and exact revenge in this RPG, set in a dark fantasy world. Banished for your misdeeds to the dark and brutal world of Wraeclast, you play as a Duelist, Witch, Ranger, Templar, marauder, Shadow, or the Scion class. There is an amazing character customization with hundreds of unique skill combinations from tradeable itemized gems, and a giagantic passive skill tree. If anyone is interested in helping this team to be a success in TAW, contact any of the Vanguard staff or fill out the Vanguard Interest Form. There’s only one goal in Rust, survive. To do this, you need to overcome some struggles such as hunger, thirst, cold, that salty and sneaky opponent who decides to try and smoke you when you’re not looking. Build yourself a shelter, fire, kill animals for meat. Create alliance with other players, and kill your enemies for meat (yay cannibalism). Do whatever it takes, just survive! If anyone is interested in helping this team to be a success in TAW, contact any of the Vanguard staff or fill out the Vanguard Interest Form. Warframe is the next game on our list this month as we take you from the high seas to a whole new world. 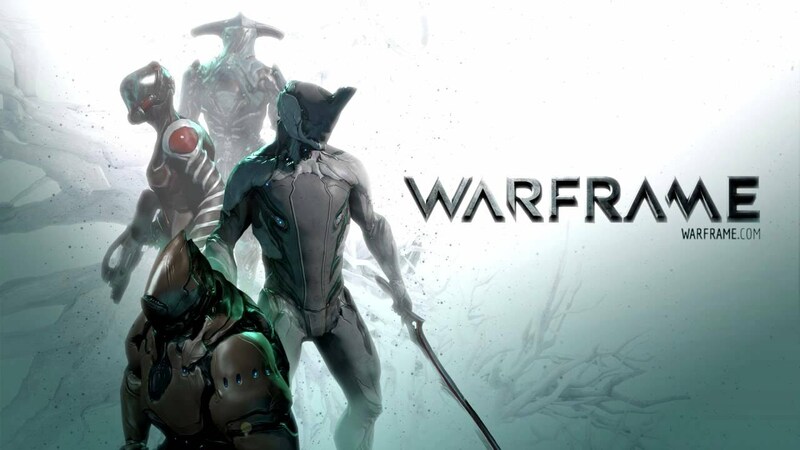 Warframe is a cooperative Free To Play third person online action game set in an evolving sci fi world. As you select and customize your Tenno character, you have over 30 options to choose from. Each will have their own unique abilities for you to create the perfect Warframe. There are over 300 diverse weapons which you can modify to your playstyle as you slice and dice through hordes of enemies or go in guns blazing, or...go in all stealth like, the choice is entirely yours. Explore, discover, fight and fly throughout the massive landscapes as you seamlessly leap, slide, and glide through capital ships and underground compounds If anyone is interested in helping this team to be a success in TAW, contact any of the Vanguard staff or fill out the Vanguard Interest Form. We continue our journey in space with a game which has withstood YEARS in space, since it’s 2003 release date to be exact. Eve Online is a community driven spaceship MMO where players can play free or pay a premium membership, choosing their own path from countless options. Players will experience the final frontier in space exploration, immense PVP and PvE battles, mining, industry and a thriving player economy in this ever expanding sandbox game. History is written by the players in this universe of unrivaled beauty, depth, and opportunity. Become one with your ship, as you embark on a story of industry, exploration, and conquest as you weave your legend into the fabric of New Eden. So enlist now and join the TAW Corps in this game. If anyone is interested in helping this team to be a success in TAW, contact any of the Vanguard staff or fill out the Vanguard Interest Form. We close off 2018’s list with our final space game. Explore the vast galaxy full of wonder in the game known as Stellaris, which features a deep strategic gameplay, a rich and enormously diverse selection of alien races and emergent storytelling. Etch your name across the cosmos by forging a galactic empire in this game as you traverse thousands of planets, explore anomolies with your heroic science team and engage in some epic space battles. If anyone is interested in helping this team to be a success in TAW, contact any of the Vanguard staff or fill out the Vanguard Interest Form. The Vanguard staff will continue to keep a whether eye out on the horizon for new games for 2019, as we strive to always bring you an amazing selection of games, we also accept suggestions from people filling out the Vanguard Interest Form. From all of us in Vanguard, we wish you a Happy Holidays and a Merry Christmas. 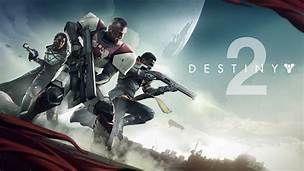 We will be having the Spin-up Meeting for Destiny 2 (DS) on Saturday 12/15/2018 @ 1500 EST/ 1900 gmt. Feel free to drop in the Spin-Up meeting channel under Vanguard Command. We will be having a general overview of the game and how the Destiny 2 staff will run mandatory events and when those events will be. 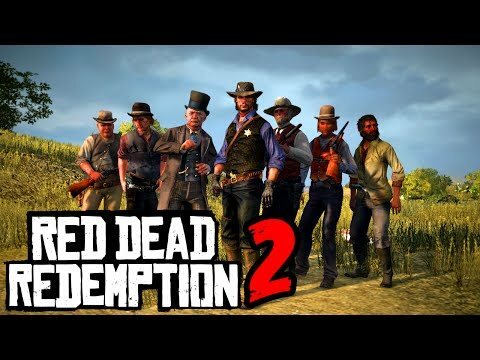 We will be having the Spin-up Meeting for Red Dead Redemption 2 (RD) on Saturday 12/15/2018 @ 1530 EST/ 1930 gmt. Feel free to drop in the Spin-Up meeting channel under Vanguard Command. We will be having a general overview of the game and how the Red Dead Redemption 2 staff will run mandatory events and when those events will be. Vanguard is hosting an Eve Online interest meeting this Saturday at 4:30 pm est/ 9:30 pm gmt. The purpose of this meeting it to determine if we have enough member interest in bringing this game into TAW. You can show you support for this great game by attending or by filling out the Future games form. Vanguard is hosting an interest meeting for Warframe. The purpose of this meeting is to decide if the time is right to bring this game back into TAW. You can show your support by showing up the event this Saturday at 4pm EST/ 9pm GMT, or by fill out the Future game forms. Activision Blizzard has announced Call of Duty: Black Ops 4 Battle Edition, available on Battle.net, that features just the multiplayer and Blackout modes for the limited time price of $30. The Battle Edition is compatible with the multiplayer and Blackout modes, and online lobbies of regular versions of the game on PC. December will also see the roll out of holiday events, free content, and new personalization items. 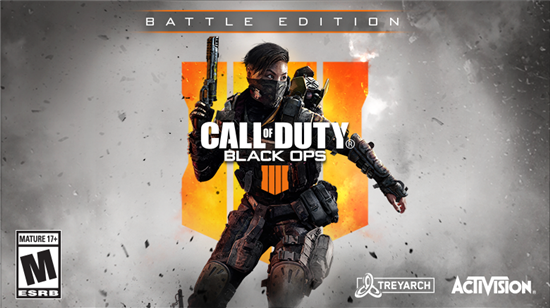 PC players can pick up Call of Duty: Black Ops 4 Battle Edition for $29.99 until January 6, 2019. The price will go up to $39.99 after that date. Unlike the Standard Edition of the game, the Zombies mode and the 1,100 bonus Call of Duty points will not be included. Those add-ons, as well as the Deluxe Edition content, will be available to to purchase separately for Battle Edition owners. If you pick up the game, be sure and join the Call of Duty (COD) unit located in the 7th Corps on Sunday evenings! In this very popular MMO RPG grab a couple friends and download this free game that has consistently contested for one of the top games in the steam charts. Best thing about it is it is FREE! With all the new game debs trying to bleed the gamer for money this game is refreshing as it delivers amazing expansions, frequent updates, and content additions for no extra cost. But if you are a money spender there is plenty of DLC Packs to help you establish your character and give you an edge over your enemies. Indulge solo or with your friends in this captivating environment and story as beautiful graphics and sounds surround you all while your character tears through enemies. 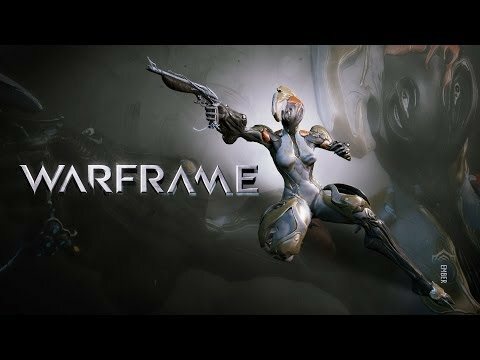 Warframe has a very special MMO style that each player will feel as soon as they dive deep into Warframe's combat and encompassing environment. An additional plus of this game is the dedicated game developers who constantly update and create content to keep the game exciting.